Terri Reid, author of The Ghosts of New Orleans and five Mary O’Reilly paranormal books, has had some amazing success with e-publishing. She uploaded her first e-book on Amazon in August 2010. To date she has sold over 80,000 books. 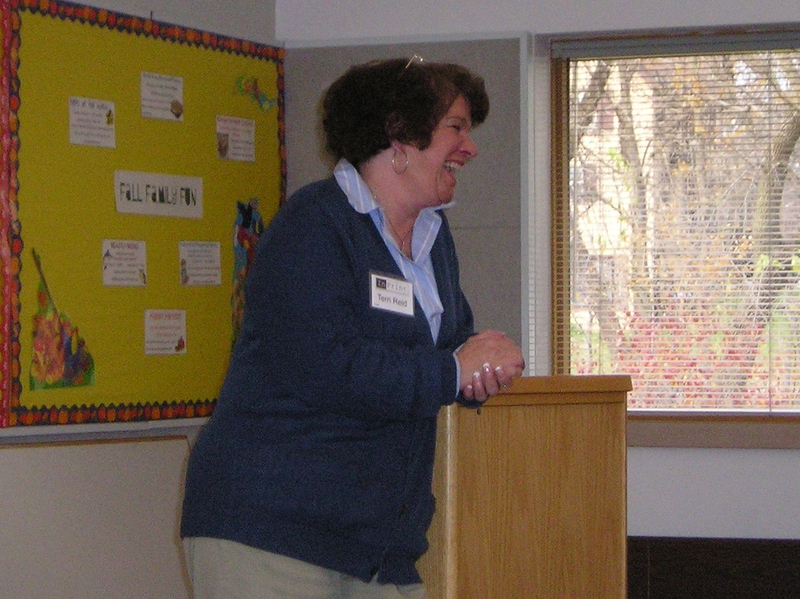 At our November 12 meeting Terri shared some of the things she’s learned about e-publishing. Make sure you edit the book. Then edit it again. Then find someone else to review it for you. Be very thorough because any mistakes you don’t find, your readers will. Your book should be a word document, double spaced, with no graphics, and formatted to HTML. Make a catchy cover for your book. Normally books aren’t judged by their covers, except online, when that’s the only thing potential buyers have to judge. Fill out the information for uploading a book on the Amazon.com page. It takes about 24-48 hours from the time you upload it until it shows up. When you upload it, Amazon will walk you through the process. It will stop you if your e-manuscript isn’t formatted correctly. Make sure that you have no extra punctuation. You are in charge of pricing your book so pick your price point carefully. Terri said that if you charge $2.98 or less, you get 35 cents for each copy however if you charge $2.99 or more you get 70% of the purchase price. Get familiar with SEO…search engine optimization, meta tags, and keywords. Terri stressed that anyone can publish a book on Amazon. She recommends the book Newbies Guide to Publishing by Joe Konrath to help find your way through the e-publishing maze. It will also help you market your novel online as an independent author. Terri also suggests writers make an author Facebook page but, as Terri put it, your readers don’t necessarily want to know about your grandchildren. Once you do e-publish Terri recommends you check out goodreads.com to gain valuable fan feedback. Goodreads.com is a book recommendation and review website. To sum it up, Terri encouraged everyone to go ahead and try e-publishing as an alternative to traditional publishing. It’s free, and you never know, your well written book might take off online just like Terri’s did. Welcome to the e-wave of the future!